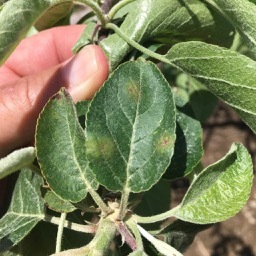 Estimated apple Scab Ascopsore Maturity, 22-May -- 100%; the next rain should release all the available primary spores if it has not happened already. Codling moth CM -- 1st generation, first sustained trap catch biofix date: May 16, Tuesday. Codling moth development as of May 23: 1st generation adult emergence at 15% and 1st generation egg hatch at 0%. In most orchards, insecticide targetted against plum curculio and apple maggot prevent codling moth damage. 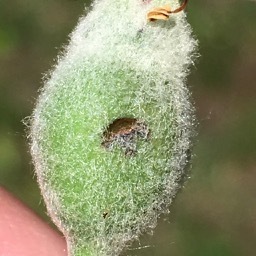 If targetted codling moth control is needed, key management dates are: 1st generation 3% CM egg hatch: June 6, Tuesday, = target date for first spray where multiple sprays needed to control 1st generation CM. Obliquebanded leafroller -- 1st generation OBLR flight begins around June 6, Tuesday. Oriental Fruit Moth OFM -- 1st generation OFM flight starts: April 26, Wednesday. 1st generation 55% egg hatch and first treatment date, if needed: May 26, Friday. Plum curculio (PC) -- Increased risk of PC damage as McIntosh and similar cultivars increase in fruit size: May 18, Thursday. Earliest safe date for last PC insecticide spray: May 31, Wednesday. McIntosh Bud Stages -- Wednesday, May 3: Full Bloom; Friday, May 12: 95% Petal Fall; Tuesday, May 16: 100% Petal Fall; Thursday, May 18 Fruit Set. Regarding codling moth, yes, we caught codling moth in pheromone traps late last week and right on schedule. That means, the peak of flight is soon, adults will be mating and laying eggs, eggs will hatch sometime in June, and wreak havoc in your apples UNLESS your upcoming insecticide cover sprays are effective. Which, is often the case. 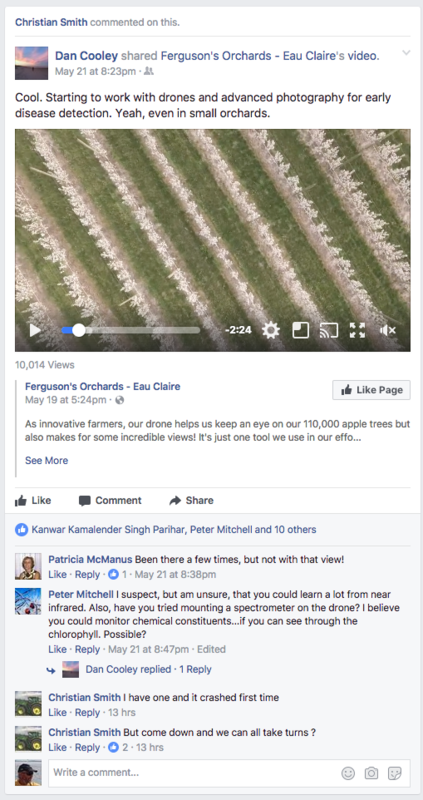 Some orchards though, and you probably know who you are, have habitual trouble with codling moth, and have adopted a more targeted insecticide spray strategy using a degree-day model to predict the best insecticide timing to kill young, hatching larvae before they enter the apple. Right now, where a multiple spray approach targetting codling moth is used, June 6 would be the date for that first spray. For all PC and CM insecticides control options, see the apple Fruit Set and Summer spray tables in the New England Tree Fruit Management Guide. Scab. We’re not done yet. That’s kind of disappointing, but our most recent spore release tests for leaves in western MA produced A LOT of spores. This agrees with RIMpro estimates of spore maturity, which says that in the Connecticut Valley about 20% of the season’s ascospores are still available. In the hills, Ashfield, 50% are left, while eastern MA is showing 10 to 15%. NEWA called an end to primary scab a week ago, AgRadar says it’s over as of yesterday’s rain, and SkyBit says about 2% is left. Why are there these differences? The quick answer is that the models use temperature and rain to estimate ascospore development, but they do it in slightly different ways. This can produce some real differences, particularly in the all-important “end of primary scab season” estimate. As this became obvious to us, we thought it best to look at actual spore release and infections, and see which models agreed with what we were seeing. In addition, in our fungicide test block, scab from late April/ early May infections is showing up. If secondary scab gets going at the same time primary inoculum is being released, it can create big problems. Scout in places where scab is most likely to see if any has shown up. Use a conservative approach to scab for the next week to 10 days at least. That means watch the weather, and use a combination of a multi-site fungicide (Captan, mancozebs) with a systemic (Inspire Super, Fontelis, Flint, Aprovia, etc. etc. ), preferably before a predicted rain. Again, see the apple Fruit Set and Summer spray tables in the New England Tree Fruit Management Guide for all fungicides options for apple scab at this time. 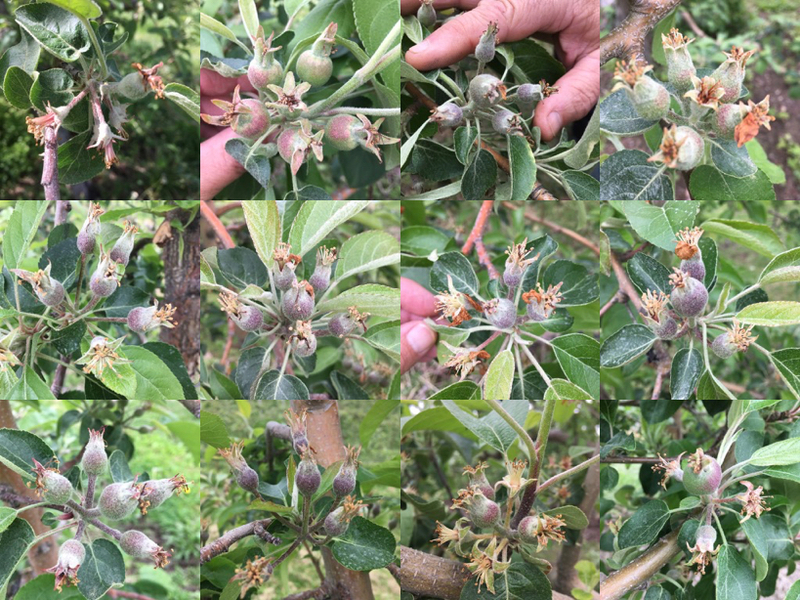 We are seeing lots of variability out there (see collage below), however, fruit set generally looks good, so we are recommending right now that in most situations a traditional-timed 8-12 mm apple chemical thinning spray is necessary. The weather right now favors this timed thinning application, with moderate temperatures and some (but not a lot) of tree stress. Chemical thinners should work quite well when applied now or in the next few days. You have lots of choices, and depending on what you already have done, but it seems to us either NAA (Fruitone-L) at 7.5 ppm (3 oz. per 100 gallons dilute TRV) with or without carbaryl (1 pt per 100 gallons if with), OR 6-BA (Maxcel, Exilis) at 100 ppm (64 oz per 100 gallons dilute TRV), again, with or without carbaryl depending on how much thinning you want. (Be careful, 6-BA plus carbaryl is very effective on Empire/Gala/Golden Delicious, but it can over-thin if it turns hot!) Adjust your rates, and combinations per above based on your observation of how much thinning you need and what you have already done! But still, it looks like a very typical chemical thinning year (at this point) where a petal fall and a 10 mm chemical thinner application will be necessary to get the job done! You are also advised to go out and measure fruits and see just what's growing and what's not! Fruits should be growing just under 1 mm (actually 0.7 to 0.8 mm) a day in this seasonal weather. We measured fruits on Monday, see table below for summary) will be measuring again on Friday to assess growth, and make the 10 mm thinning decision then. At least that is the way it's working out here for us. Weather during this thinning seson has not really stressed the fruit. Under these circumstnces thinners take longer to manifest themselves. Because of light strees on the trees you will have another opportunity to thin when fruit are at the 15 mm fruit size range. However we stress that you should not wait. Take advantage now of the opportunity to thin at the 10 mm fruit size range since fruit are most vulnerable to thinners at this growth stage. Also, you might want to read in the evening Duane Greene's Apple fruit thinning overview in the New England Tree Fruit Management Guide. The next Healthy Fruit will be published on Tuesday, May 30 or thereabouts, 2017. As always feel free to get in touch with any member of the UMass Fruit Team (http://extension.umass.edu/fruitadvisor/team-members) if you have questions or comments.